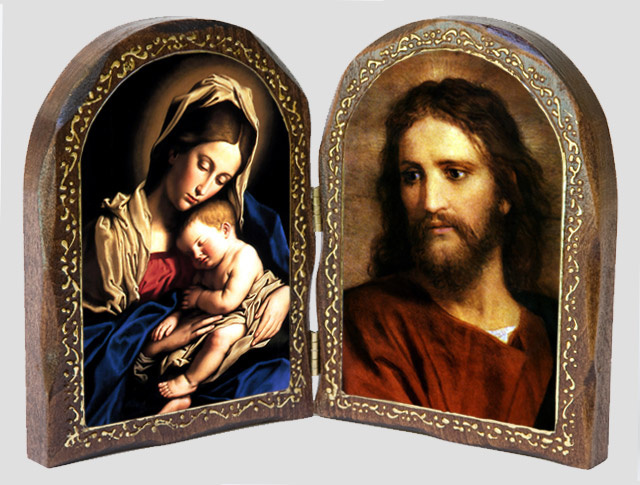 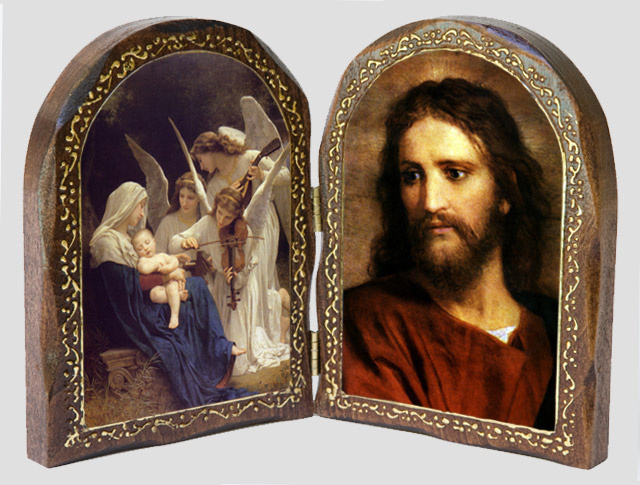 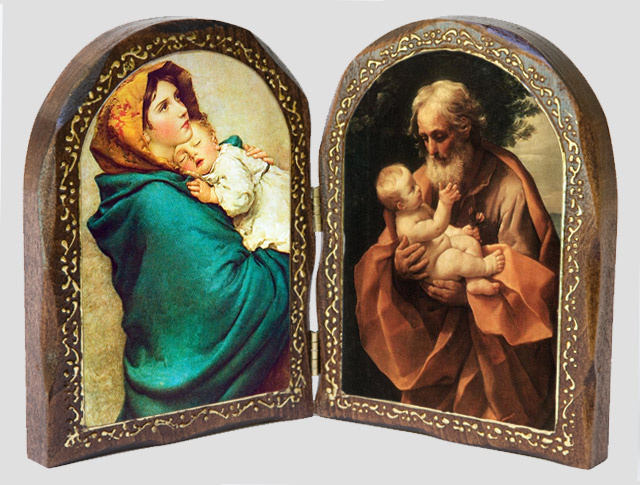 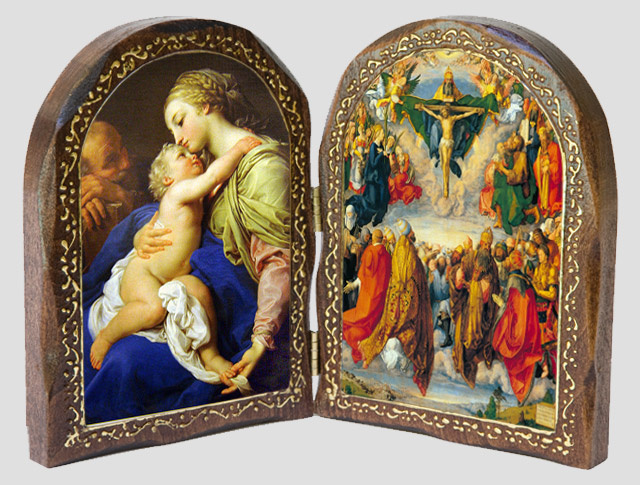 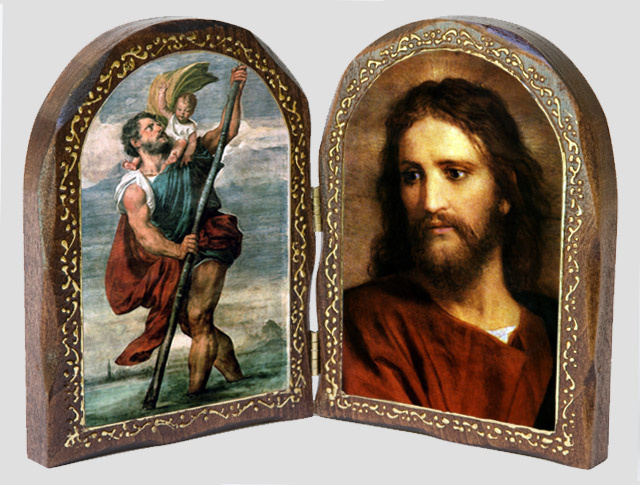 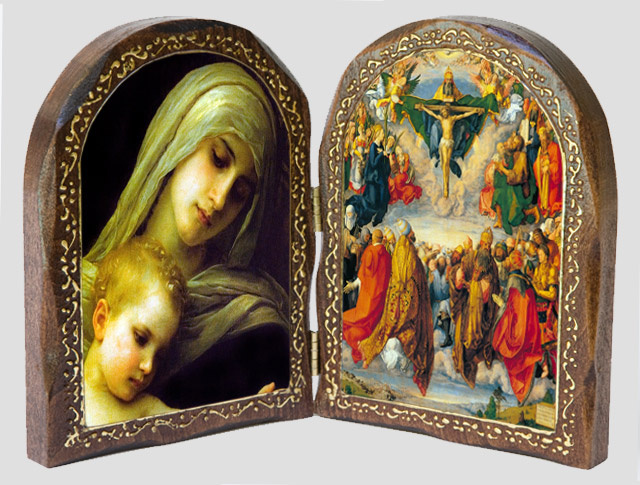 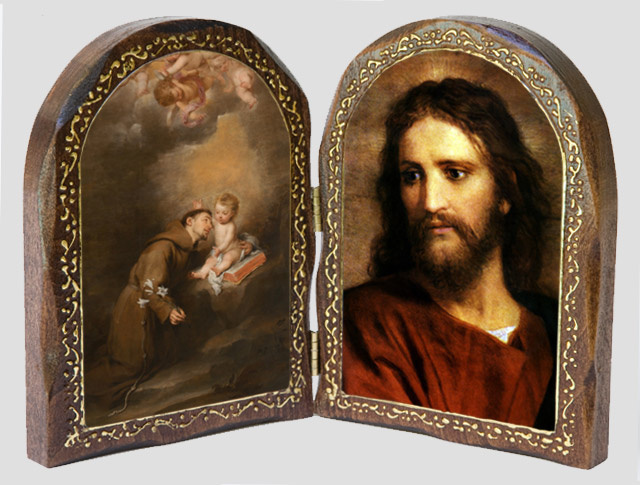 Catholic Wood Diptychs : Bless Our Faith Gifts Inc., Spreading the word of God with gifts. 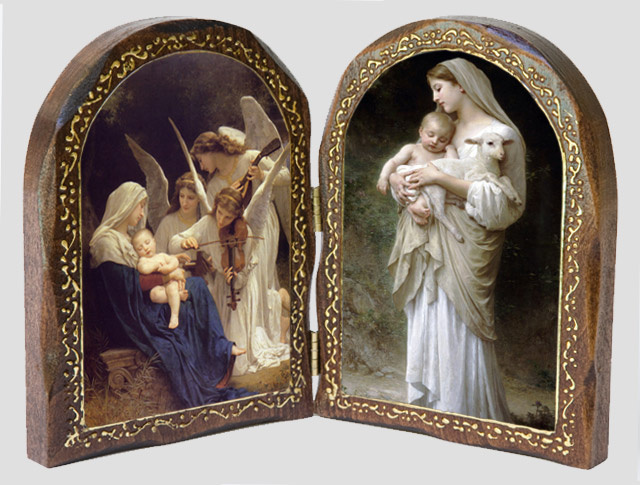 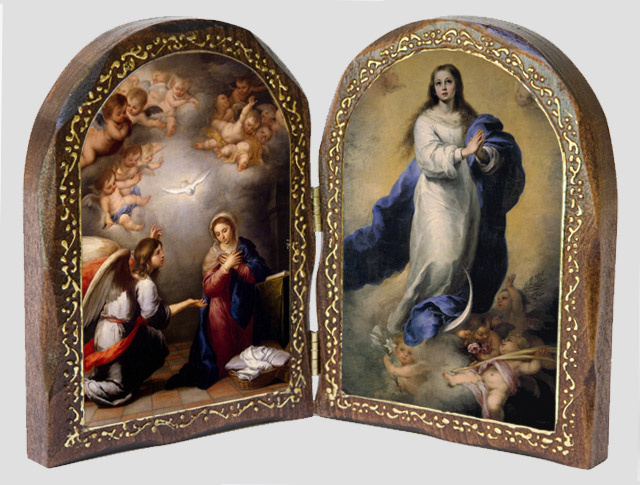 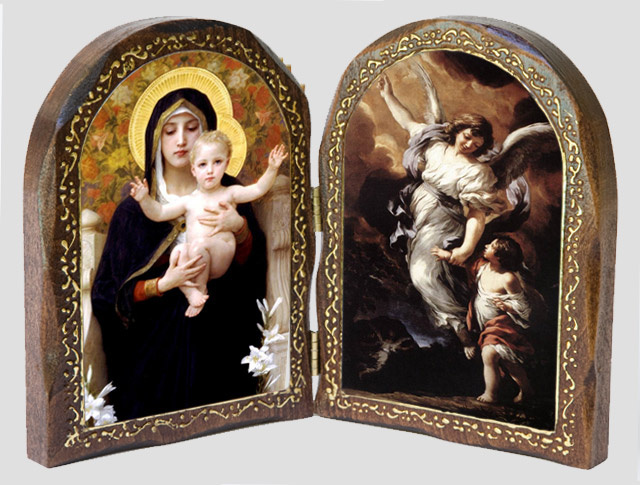 Catholic Diptych of the Annunciation and Immaculate Conception of the Blessed Virgin Mary 7" x 8.5" wide when opened. 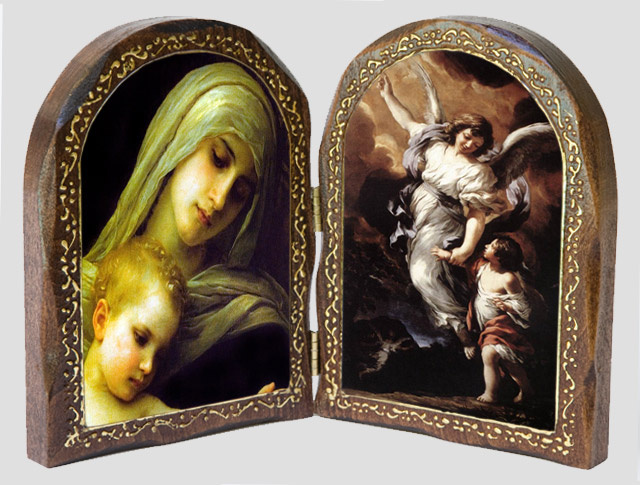 Catholic Wood Diptych of the Madonna of the Streets and St. Joseph with Baby Jesus- Each panel has a beautiful gold border.